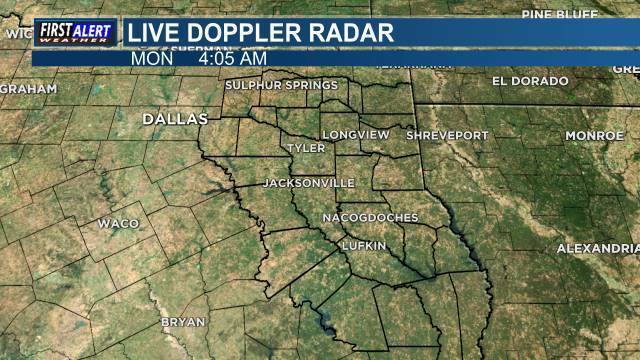 East Texas (KLTV) - Here is the Weather Where You Live... SUNSHINE... Gotta Love It. We should see more throughout the day on Wednesday before the clouds return on Thursday. A cold front is expected to move through East Texas early on Friday morning and this is the reason for the increased cloud cover on Valentine’s Day. Only a 10% chance for any rain is expected late Thursday/early Friday morning with this front. Partly Cloudy skies are likely throughout the weekend with cool mornings, the lower to middle 40s, and mild afternoons, upper 50s to lower 60s, for high temperatures. On President’s Day, which is next Monday, increased clouds and rain chances are expected to 40% or so by the end of the day and a better chance on Tuesday, nearing 60%. At this time, we are not expecting any severe weather, but as always, we will watch this for you closely.